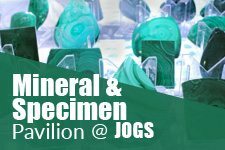 The legendary Tucson Gem Show is the largest and most prestigious gem and mineral show and an incredible celebration of all things gem, mineral, fossil and jewelry related. Every year in late January and early February, buyers, collectors, and enthusiasts from around the world travel to Arizona to visit the Tucson Gem Show. The Tucson Gem Show is made up of 40+ different Shows – some with no more than few exhibitors, and others with hundreds of international exhibitors. When is the Tucson Gem Show? 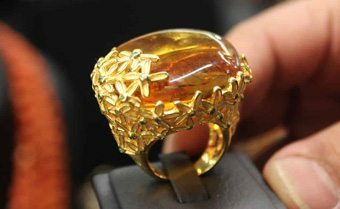 Click here to view the 2019 Tucson Gem Show Schedule. There is also a Fall Tucson Gem Show, that happens early September every year. Looking for an easy way to get around the Shows? There is a FREE shuttle to most of the major shows! To get on the shuttle, park your car at a major shuttle hub, then hop on at the designated shuttle stop. The shuttle is called “GemRide”. If you are looking for free parking at the Tucson Gem Show the Tucson Expo Center has over 1,000 free parking spots and is a main shuttle hub. 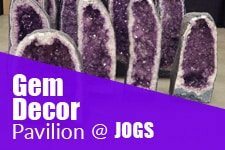 Park at the JOGS Tucson Gem Show for FREE PARKING (over 1,000 parking spots) and after you visit the JOGS Show, take the free GemRide Shuttle to many other Shows in Tucson! What can you find at the Tucson Gem Show? There is a diverse variety of products available at the Tucson Gem Show, for collectors, hobbyists, professionals and DIYers. Wholesale Buyers are in for a treat at the Show- not only do they attend the show for free, they also will be able to restock for the entire year. The JOGS Tucson Gem Show hosts over 350 vendors, most of them focused on selling great products at low prices to wholesale buyers. 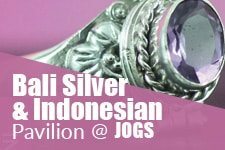 Whether you are looking for gemstone decor or finished jewelry, you’ll be able to find it at the Show. Collectors will find specimens of all shapes and sizes, from rare small specimens to incredibly large geodes. Click here to view our gallery of specimens we found at the last show. At the last show we saw a 14ft tall amethyst cathedral, incredible malachite carvings, high-grade rhodochrosite, petrified wood tables, and aquamarine specimens from our international vendors. Hobbyists, Beaders & Professional Jewelry Makers will find everything they need to make jewelry. 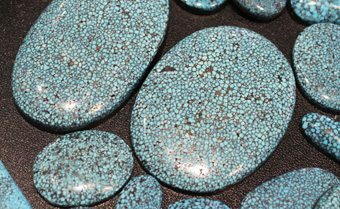 The Tucson Gem Show hosts a wide variety of vendors who carry rough materials, beads, cabochons, findings and loose stones. Professional jewelry makers will appreciate the turquoise cabs and selection of loose stones at the show from diamonds to colored stones. Click here to learn more about loose stones at the show. Gemstone & Crystal lovers will find “heaven” at the Show. 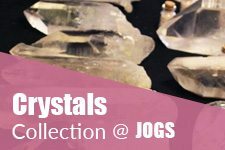 It’s easy to find crystals and gemstones of all types – from amethyst and citrine to aqua aura quartz and turquoise, vendors from around the world bring their best crystals and minerals to the Show. 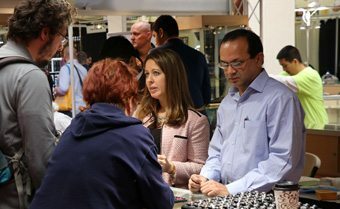 If you are looking for a special piece of jewelry for yourself or for a gift, you’ll be able to meet jewelry designers at the Show who will help you find the perfect piece. 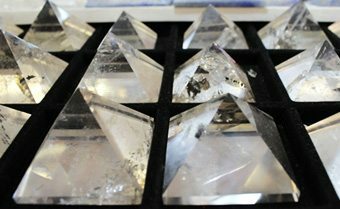 Click here to learn more about crystals at the Tucson Gem Show. 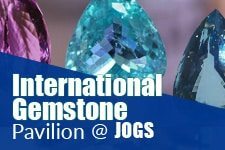 The JOGS Tucson Gem Show has gathered their dealers together to form international pavilions, each one dedicated to a different type of gemstone product. Take a virtual tour of the pavilions by clicking the images below for each Pavilion. 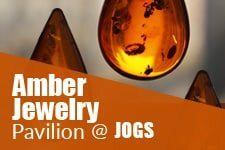 Why should you go to the JOGS Tucson Gem Show? 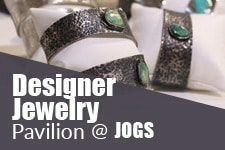 The JOGS Tucson Show, hosted by JOGS International Exhibits, LLC, has grown into the largest and one of the most popular Gem and Jewelry Shows during the Tucson Gem Show. 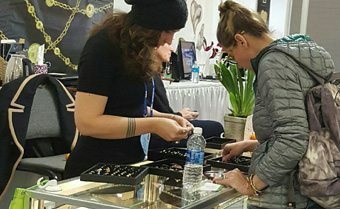 Many shows during the Tucson Gem Show are free and open to the public, while others require a ticket or a wholesale buyers license. 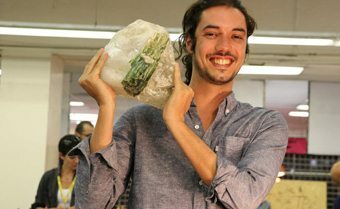 The various shows all cater to different audiences, from shoppers looking for some cool crystals to collect to professionals looking for raw materials or to restock their shops. The larger shows that cater to wholesale buyers require pre-registration and a business or resale license. The good news is you can register online and save time before the show. Some wholesale shows also allow the public to attend, like the JOGS Show. Others are closed and only allow wholesale buyers. If you are looking to attend a specific show, make sure to find out what is reqired to get in before going! 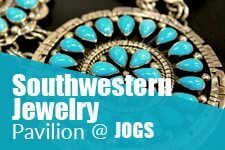 If you own a business, boutique, or are a professional designer, the JOGS Tucson Gem Show is the perfect place to restock jewelry, gem decor or raw materials. Registered Buyers attend the show for free. If you are looking to attend multiple shows, read about Tucson Gem and Mineral Show wholesale passes. 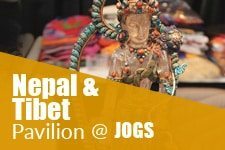 Although the JOGS Show is known as a “buyers paradise”, the public is still welcome to attend and shop for beautiful crystals, amazing geodes, beads and cabochons from around the world, and jewelry straight form the designers. Tickets can be purchased before the Show to save time, or at the front entrance of the Show. 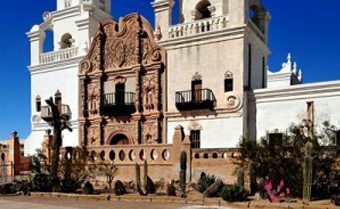 We have carefully prepared a list of the most amazing places to see while your visit to Tucson, the authentic city full of Native American and Mexican culture. There are no analogue places to feel, taste and experience the southwest culture. 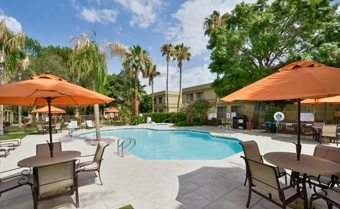 Need somewhere to stay during the Tucson Gem Show? Many hotels offer special rates for Gem Show guests stay for a longer period of time. 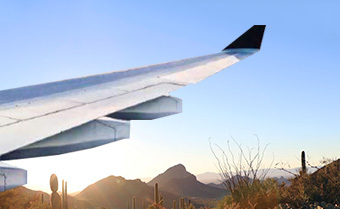 Delta Air Lines is pleased to offer special discounts for JOGS International Exhibits during the Tucson Gem Shows.